The Taybridge team are experienced civil engineering contractors based in the Lancashire area. With a proven track record and a highly skilled workforce we are fully equipped to take on both large and small scale projects and developments. We carry a range of our own plant from 1.5t mini excavators to 20t excavators and employ our own skilled workforce of over 50 operatives. All Taybridge Construction Ltd operatives have the relevant health and safety certificates including SMSTS, SSSTS, CPCS, CSCS, NRASW, & Confined Space to name a few. We are also members of CHAS and Constructionline. Report Review: I must admit when given the task to manage the works to be carried out at Woodlands which is a totally live venue shook me a touch, but I must admit after the first day working with the workforce from Taybridge Construction really enlightened the fact all will be well and it was right through the project, which again involved Woodlands staff and members of the public on an hourly basis. A massive plus also for the workmanship carried out daily with no problems at any stages. A honest thank you to all involved at Taybridge Construction Ltd.
We undertook the work on the foundations, drainage, in-situ floor slabs and external works to the football stadium re-development. 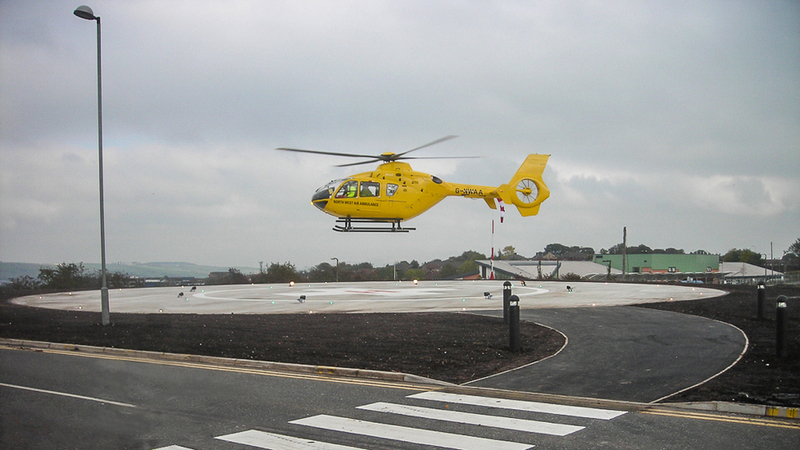 Shepherd Construction were our partners at the Royal Preston Hospital where we prepared the foundations, drainage, in-situ floor slabs and external works to three new hospital buildings. Working in partnership with Kier North West, we were responsible for the foundations, drainage and external works to the shopping centre refurbishment. Working alongside Shepherd Construction at the ILVA Store, Piccadilly, Manchester preparing the foundations, drainage, in-situ floor slabs and external works to the new homeware and furniture store. We prepared the foundations, drainage, in-situ floor slabs and external works to the new venue hall. It was a privilege to work on the beautiful Mitton Bridge, Near Whalley, for Lancashire County Engineering Services. The landmark required historic pointing and pressure grouting to the sides and barrels of this listed structure.